The importance of clipping your dog’s toenails cannot be understated. 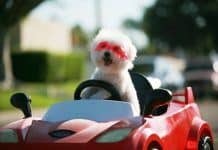 In decades past, when dogs spent more time outdoors, running and playing on various types of hard surface – their nails were gradually worn down. Where nails used to be worn down, there was less need to groom your dog’s nails and indeed, there was less need for dog nail clippers. But, with many dogs now being domesticated and confined indoors for much of the time, nail clipping is an absolute must. **If you’re after a pair of dog clippers then please head over to our buyers guide for the best dog clippers available on the market today! Trim your dog’s nails before you need dog claw clippers! Long, claw-like nails cannot only do damage to your carpets, floors sofas and chairs, they also look very unattractive. But, even worse it can cause serious damage to your dog’s paw. When nails get longer and trimming is neglected, it becomes a functional problem for your dog. Longer nails can cause a weight distribution and alignment problem. This can make walking cumbersome and even painful. Longterm this can cause joints of your dog’s foreleg to look flat and splayed. Leave it long enough and not even professional dog nail clippers will help, it will be a trip to the vets. Long, overgrown nails can potentially curve your dog’s foot and grow into the pad of the foot (read more about that here). The longer your dog’s nails, the higher the chance they will get torn or split, causing pain to your canine friend. Human nails consist of one layer, whereas dog nails have two layers. Humans have the unguis – which dogs have. However, dogs also have a subunguis. We have written this guide to help you choose a high-quality set of dog nail clippers. We want to help your dog look the best it can and also ensure their health. When choosing your nail clippers, you should ensure that they cause no discomfort to your dog and its paws. No point in purchasing a cheap, low-quality pair of nail clippers if it makes your dog feel pain and discomfort. Grinders are different to your traditional set of clippers or scissors. They’re more expensive but they’re incredibly easy to use. This means comfort is almost guaranteed for your four-legged friend. They’re also extremely safe. The rotary head of a grinder does all the work for you and they’re much less fiddly to use. They can also be used on other animal nails. So, if you have a household with lots of pets, serious consideration should be given to a set of dog nail grinders. 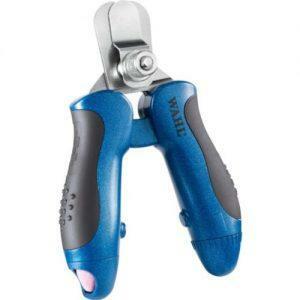 What am I looking for in the best dog nail clippers? We have carefully selected our top ten and have ensured that each product has your dogs safety at its core. There are hundreds of nail clippers available and not all of them take safety as seriously as we would like. 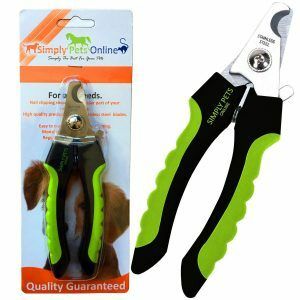 The top ten dog nail clippers we have listed all have safety mechanisms in place that will help prevent you from cutting your hounds nails any deeper than required. Reducing the risk of injury and bleeding. Safety features of the following products, take away the guesswork. 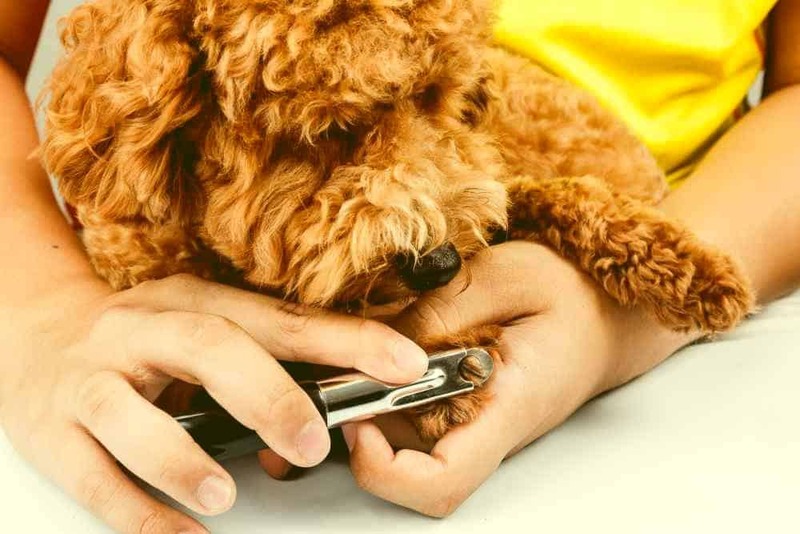 The fact that you’re here, reading this round-up means you have most likely attempted to trim your dogs’ nails previously. So, the last thing you want to do is cut their nails too deep and leaving your dog fearing the trimming process. Comfort goes hand-in-hand with safety. Both you and your dog should feel comfortable during the clipping/trimming/grinding process. All good dog nail clippers/trimmers and grinders are built with this in mind. 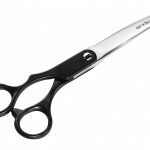 Their grips have been designed to ensure that you feel comfortable keeping hold of the grinders or clippers for prolonged periods of time. Lower quality and cheaper dog nail clippers tend to come with poor grips that lead to problems quickly. 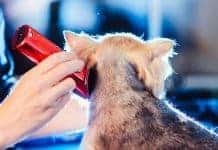 Sharp blades provide you with the ability to trim your pet dog’s nails and claws in a matter of minutes, while dog nail trimmers with blades that aren’t sharp will make this a much more time-consuming procedure. Besides saving you on valuable time, dog nail trimmers with soft blades will cause your dog a lot more discomfort than they need to encounter. The importance of your dog nail clippers sharpness is something that has to be given great consideration. The sharpness of the blades will determine how fast and easy the process of nail trimming is going to be. 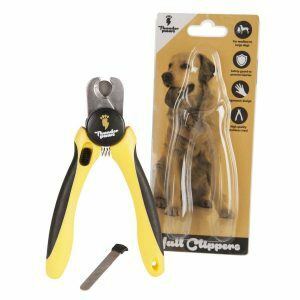 Now for our top ten best dog nail clippers – check it out below! The absolute pinnacle of the best dog nail clippers available today. Designed by professionals for Vet quality. We can’t say enough good things about these unbelievable Dog nail clippers. 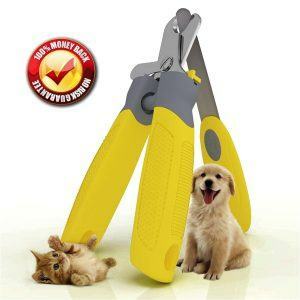 These will be the best dog nail clippers you will ever buy! They were designed by Vets and they’re used daily in veterinary practices. If they’re good enough for the professional dog nail clipper, they’re good enough for us. These are simply an excellent pair of dog nail clippers. Designed by professional vets, guaranteeing safe, comfortable and easy trimming of your dogs’ nails. They have been constructed from the very best materials and finest quality stainless steel. The ergonomic grip allows safe and slip-free clipping, ensuring your dogs’ comfort. What’s more, they’re used daily in real vet clinics! They’re suitable for both small and large dogs – even mastiff great Dane cross breeds! 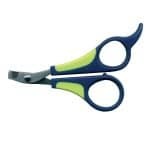 They are not the cheapest nail clippers on our list but once you feel them in your hands, you will soon understand why. The blades are sharp, ensuring clean cuts time and again. The Safety gauge will also ensure that your dog doesn’t run for the hills, when you make them appear. We rate these as our number 1 clippers on our best dog nail clippers round-up! Not strictly just nail clippers but they’re so sharp and such high quality, we just had to mention them. They can be used, not only on paw nails but also used to cut your dogs (or any other pets) coats – giving them a diverse range of uses. Beautifully crafted and a great feel to them – check them out – you will not regret it. Expert grade cutting blades. The blades are an important part of any and all dog nail trimmers. The blade is made from a ultra high quality, stainless steel that’s been manufactured to guarantee its sharpness so you can cut your dog’s nails in one smooth, tidy action. The stainless steel blades are durable and keep its sharpness for extended periods of time. It’s no surprise why professional groomers and veterinarians endorse and use these excellent blades! Professional grade with a premium build. Do you have the same feeling that trimming your pets’ nails after a bath is always a battle? Is clipping your dog’s nails a tense and sometimes painful experience for them, and even for you? This dog nail grinder will keep your dogs nails trimmed pain free and without splitting their nails! Pet nail grinder with 3 ports: Designed with 3 dog nail grinder ports to meet your pets’ needs, perfect for all sizes of household pets. Choose the appropriate port according to the nail size. Safe & Effective: Constructed with a diamond bit which is safer and more effective than a conventional nail clipper. 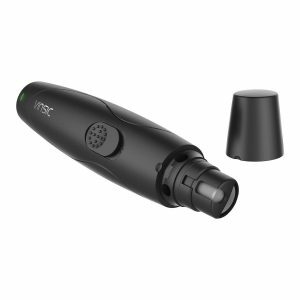 This ensures trimming your pet’s nail will not result in pain and discomfort. At £4.99 (or thereabouts), these are a great budget buy but be aware, they’re strictly suitable for small dogs! If you’re dog is a small one, these will do the job. The steel nail trimmer blades will cut through your dog’s excess and overgrown nail with no problem. This nail clipper integrates an adjustable safety guard to limit the of nail that needs to be clipped, hence helping to prevent accidents. The main benefit of the guard is that it allows the operator to find the nail quick and adjust the guard appropriately to prevent cutting down the nail too far. A good pair of nail clippers. The Boshel dog nail clipper is an ergonomically created, Powerful and user friendly dog grooming tool. 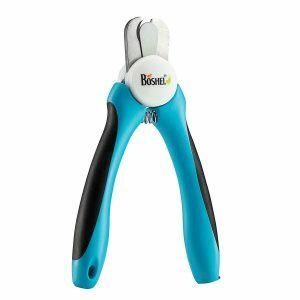 It has been endorsed by animal trainers, vets, professional animal groomers and thousands of satisfied customers as the very best family pet nail clippers on available Amazon to utilize for medium and big pet dogs and there’s over 3,000 reviews to back up Boshel’s claims! Constructed out of high quality 3.5 mm thick stainless steel sharp blades, it is powerful enough to trim your pet dogs nails with one cut, it will remain sharp for years to come. They’re great for trouble-free, smooth, quick and sharp cuts. This dog nail clipper is created to keep you comfortable while grooming your dog with its comfy, easy grip, non-slip, ergonomic design. They’re securely fitted with a security stop blade that greatly decreases the danger of cutting nails too short and injuring your dog by cutting too deeply. 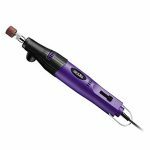 The Wahl nail grinder is mains powered and has been designed to offer a reliable alternative to dog nail clipping. It has a light-weight, ergonomic style that’ss powerful and efficient, removing excess, overgrown nail rapidly and easily. Supplied with a series of accessories, including a filing drum and filing stones. Combined, they rapidly and effectively grind down the nail while the larger 100 grit filing stone can be used for rough and uneven nails. The large grinding stone trims and shapes your dog’s nails whilst the little stone is for smaller detail areas. The felt polisher is utilised to buff your dog’s nails offering a healthy shine. The accessories can be stored easily inside the back of the filer so they don’t get lost. That concludes our roundup of the best dog nail clippers available today. If you think there is a set that deserves to be on this list – please let us know! 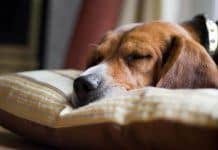 Next articleBest heated dog beds available in 2018!